The Department of "Climate Modelling" belongs to Faculty 1 of the University of Bremen and is part of the Institute of Environmental Physics (IUP). 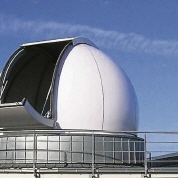 In cooperation with the department "Earth System Model Evaluation and Analysis" located at the Institute of Atmospheric Physics of the German Aerospace Center (DLR), the department analyses Earth system model simulations of the Coupled Model Intercomparison Project (CMIP) in combination with observations to better understand and project the climate system and anthropogenic climate change. The evaluation of ESMs with observations is crucial for an improved process understanding of the climate system and is also a vital prerequisite for more trustworthy climate projections of the 21st century needed as basis for guidelines in climate policy. The group’s tasks in particular include the development and application of efficient methods for ESM evaluation and the development of new numerical tools to analyse large data sets. 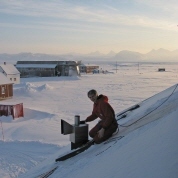 The department is strongly linked to international research activities within the World Climate Research Programme (WCRP), for example with substantial contributions to the Coupled Model Intercomparison Project (CMIP), and contributes regularly to international climate and ozone assessments of the Intergovernmental Panel on Climate Change (IPCC) and the World Meteorological Organization (WMO). Analysis of Earth system model simulations in combination with observations to better understand the processes of climate change and the climate system. Contributions to international Model Intercomparison Projects (coordination, model simulations, and analysis), in particular to CMIP. Eyring, V., Righi, M., Lauer, A., Evaldsson, M., Wenzel, S., Jones, C., Anav, A., Andrews, O., Cionni, I., Davin, E. L., Deser, C., Ehbrecht, C., Friedlingstein, P., Gleckler, P., Gottschaldt, K.-D., Hagemann, S., Juckes, M., Kindermann, S., Krasting, J., Kunert, D., Levine, R., Loew, A., Mäkelä, J., Martin, G., Mason, E., Phillips, A. S., Read, S., Rio, C., Roehrig, R., Senftleben, D., Sterl, A., van Ulft, L. H., Walton, J., Wang, S., and Williams, K. D.: ESMValTool (v1.0) – a community diagnostic and performance metrics tool for routine evaluation of Earth system models in CMIP, Geosci. Model Dev., 9, 1747-1802, doi:10.5194/gmd-9-1747-2016, 2016. Eyring, V., Gleckler, P. J., Heinze, C., Stouffer, R. J., Taylor, K. E., Balaji, V., Guilyardi, E., Joussaume, S., Kindermann, S., Lawrence, B. N., Meehl, G. A., Righi, M., and Williams, D. N.: Towards improved and more routine Earth system model evaluation in CMIP, Earth Syst. Dynam., 7, 813-830, doi:10.5194/esd-7-813-2016, 2016. Knutti, R., J. Sedláček, B. M. Sanderson, R. Lorenz, E. Fischer, and V. Eyring, A climate model projection weighting scheme accounting for performance and interdependence, Geophys. Res. Lett., 44, doi:10.1002/2016GL072012, 2017. Lauer, A., Eyring, V., Righi, M., Buchwitz, M., Defourny, P., Evaldsson, M., Friedlingstein, P., de Jeu, R., de Leeuw, G., Loew, A., Merchant, C.J., Müller, B., Popp, T., Reuter, M., Sandven, S., Senftleben, D., Stengel, M., Van Roozendael, M., Wenzel, S. and Willén, U., Benchmarking CMIP5 models with a subset of ESA CCI Phase 2 data using the ESMValTool, Remote Sensing of Environment, doi:http://dx.doi.org/10.1016/j.rse.2017.01.007. Stouffer, R. J.,Eyring, V., Meehl, G. A., Bony, S., Senior, C., Stevens, B., and Taylor, K. E.: CMIP5 Scientific Gaps and Recommendations for CMIP6, B Am Meteorol Soc, doi: 10.1175/BAMS-D-15-00013.1, 2016. Wenzel, S., Eyring, V., Gerber, E. P., and Karpechko, A. Y.: Constraining Future Summer Austral Jet Stream Positions in the CMIP5 Ensemble by Process-Oriented Multiple Diagnostic Regression, J Climate, doi: 10.1175/JCLI-D-15-0412.1, 2016. 673-687, 2016. Wenzel, S., Cox, P. M., Eyring, V., and Friedlingstein, P.: Projected land photosynthesis constrained by changes in the seasonal cycle of atmospheric CO2, Nature, doi: 10.1038/nature19772, 2016. 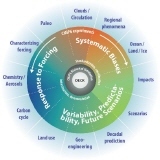 Wenzel, S., P. M. Cox, V. Eyring, and P. Friedlingstein, Emergent Constraints on Climate Carbon Cycle Feedbacks in the CMIP5 Earth System Models, JGR Biogeoscience, 119(5): 2013JG002591, 2014.